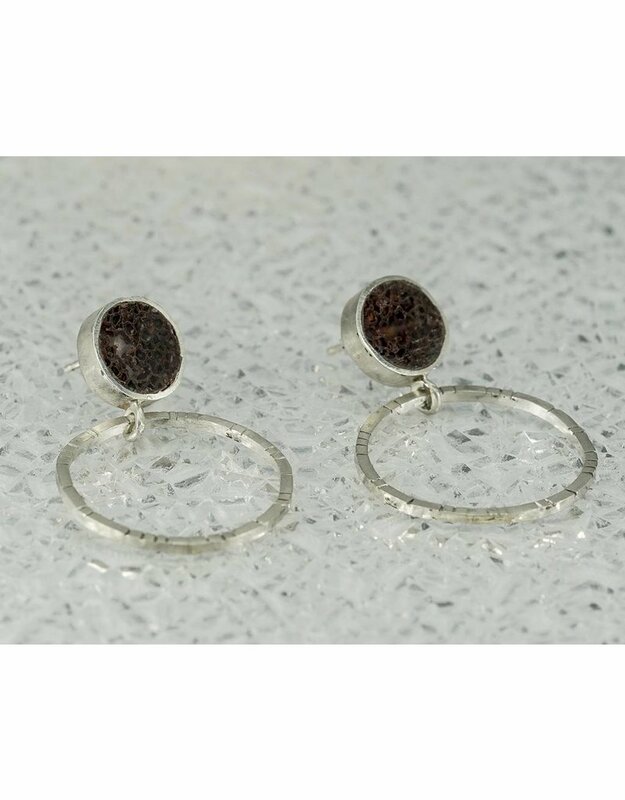 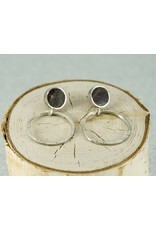 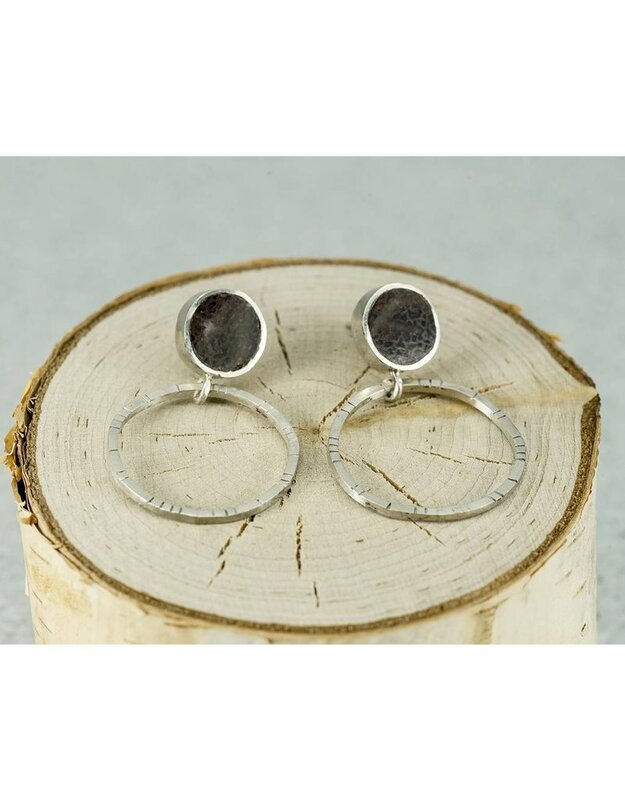 Recycled sterling silver hoops with inlaid stone. 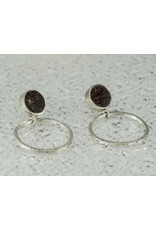 Hoops have organically placed grooves throughout and measure approximately 1 inch in diameter. 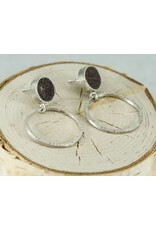 Recycled sterling silver and inlaid Dino Bone stone. 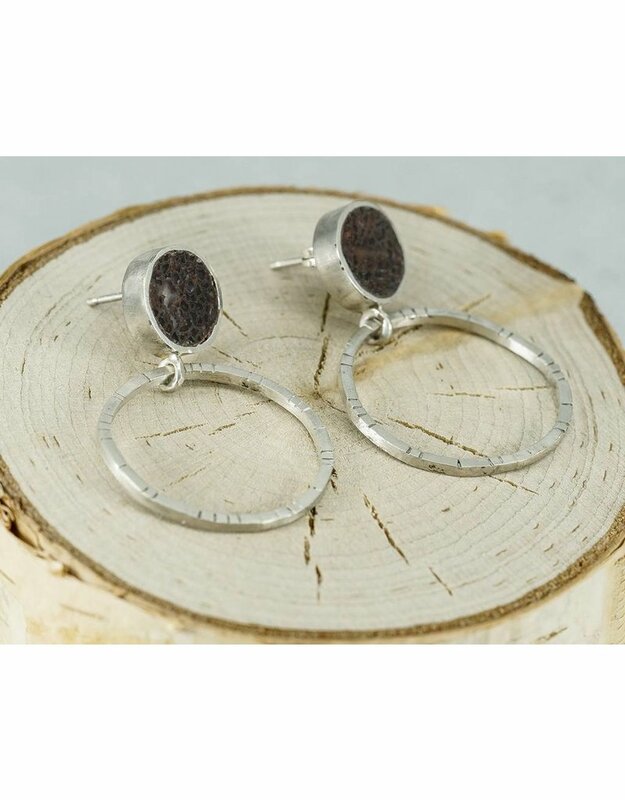 Stones will inevitably vary naturally by pattern and color, but will always be hand chosen for their unique attributes and beauty.